We have just had the most amazing four months of cruising. (This post was written in 2008, after voyaging from California to the UK. 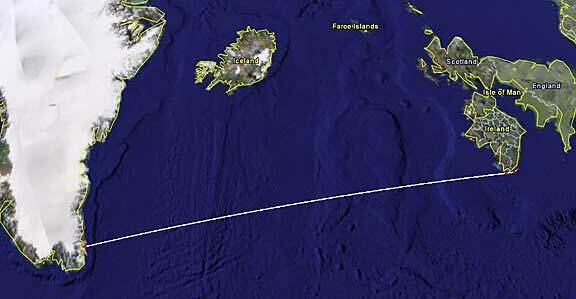 )California to Panama, then the Bahamas, Nova Scotia, Newfoundland, Labrador, Greenland, and now Ireland: 10,000 nautical miles have enjoyably slipped under our keel. … nor contrasts in the environment through which we have traveled. When we planned this trip the objective was Greenland, and then the British Isles. 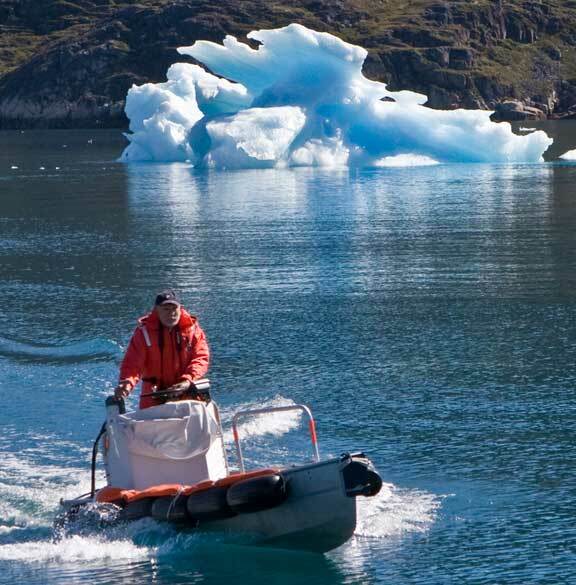 We assumed that everything leading up to Greenland would be a delivery. In other words, work, to be endured getting to the fun part. But this was not even remotely what happened. Even though we thought we understood the capabilities of Wind Horse we never imagined we could do a trip like these 10,000 miles so quickly and in such comfort. 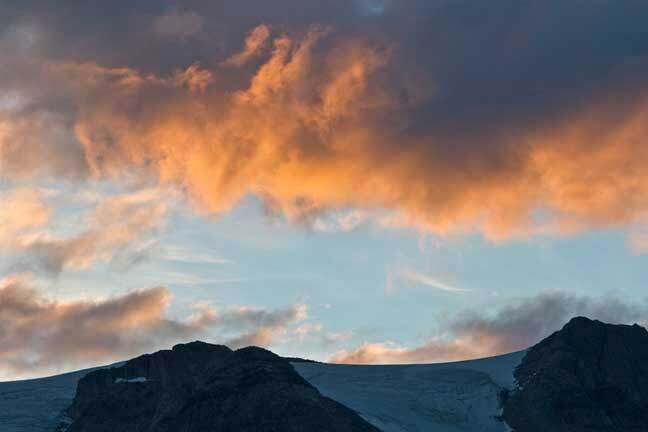 The biggest (and most pleasant) surprise has been the enjoyment leading up to Greenland. Obviously we are still learning how to take advantage of the cruising tools that Wind Horse has placed at our disposal. What we would like to do now is dissect the past four months and determine what made this cruising season transpire in such a felicitous manner. 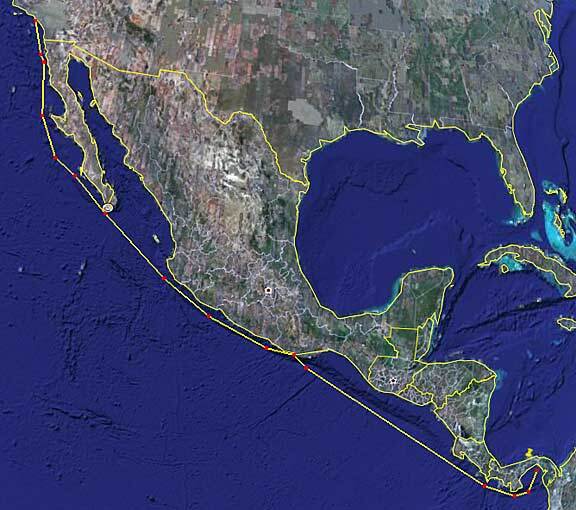 California to Panama is a hair under 3000 nautical miles. 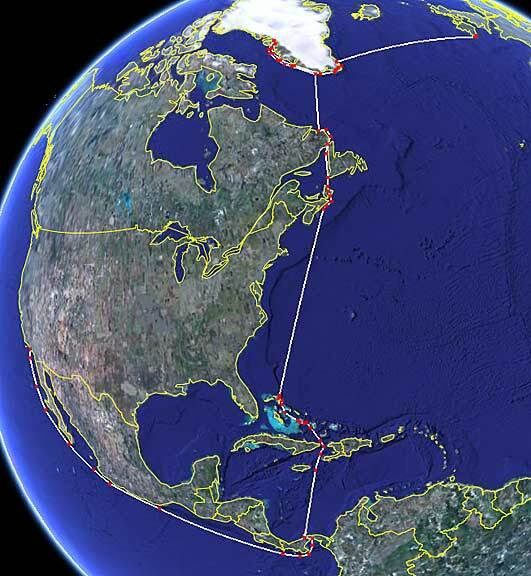 Most cruising yachts spend months traversing this coast. 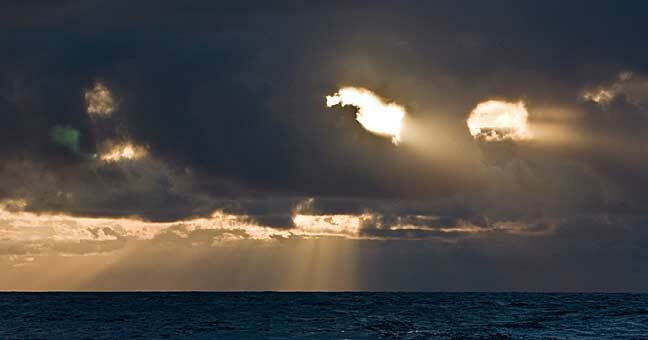 But our eyes are set on the Atlantic and it has been years since we have done a really long passage. So we decide to take this on in one hop, with the exception of two brief (less than a day) stops for inexpensive fuel in Mexico. We are comfortable at sea. Temperature and humidity are controlled so we are warm in the high latitudes and cool in the tropics. Motion is negligible, even in quartering and beam seas. 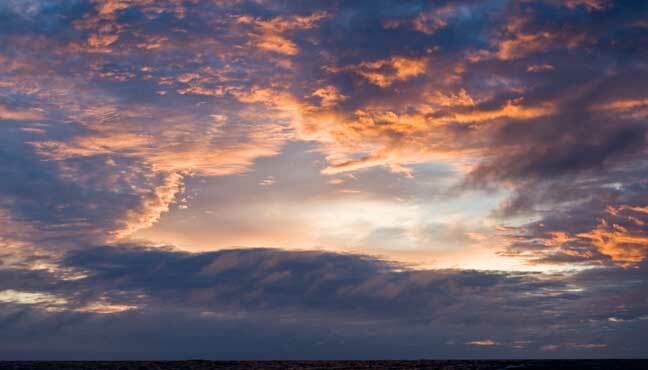 Work load offshore is minimal – update the log and check the engine room hourly. The rest of the time we have to ourselves. One can relax, read, watch movies, work on projects, check e-mail, or enjoy the view. 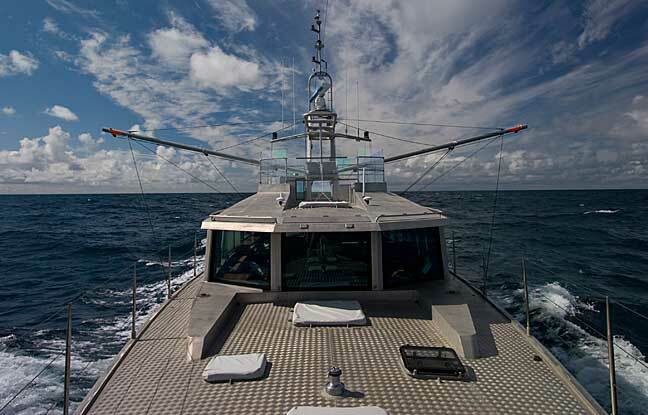 On a voyage like this one – and this applies to most of our ocean passages aboard Wind Horse – we are as comfortable offshore as we are at anchor. The only negative is adjusting to the on/off sleep patterns necessitated by just two of us keeping watch. Getting used to the new pattern takes our bodies a couple of days. After this, we fall into the pleasant rhythm while offshore. 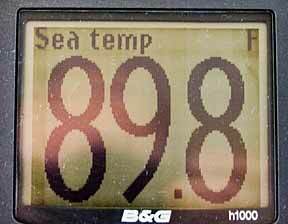 Our temperature inside is controlled by air conditioning as we travel south, even though the water temperature nears 90F (30C). Being on watch, rather than a drag, is something we enjoy. 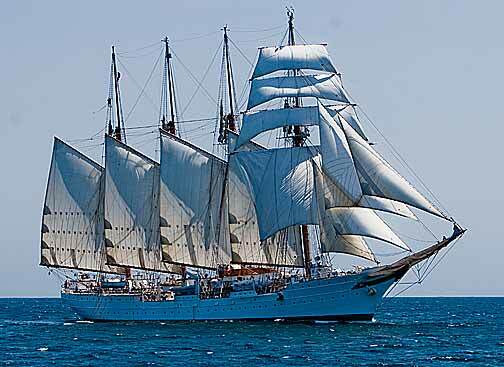 Crossing “tacks” with this majestic Spanish sail training vessel off Central America was a highlight. There are often other interesting things to observe (and these guys are observing us as well). And watch standers on other vessels with whom to chat. We spend a few minutes each day exercising. There is room on deck to jump rope, do yoga, or use various parts of the structure along with weights to stay in shape. In warm climates the area under the big shade awning on the flying bridge is a favorite. Awnings around the perimeter of the house reduce sun glare and heat load.. Arriving in Panama we are rested, the boat is clean, and the crew is ready to explore. For a video of the passage to Panama from California, click here. And for additional surfing video, click here. Panama is a wonderful place to cruise, and the Canal is fascinating – the first time. But we have been through many times before, and we want to be on our way with minimum delay. 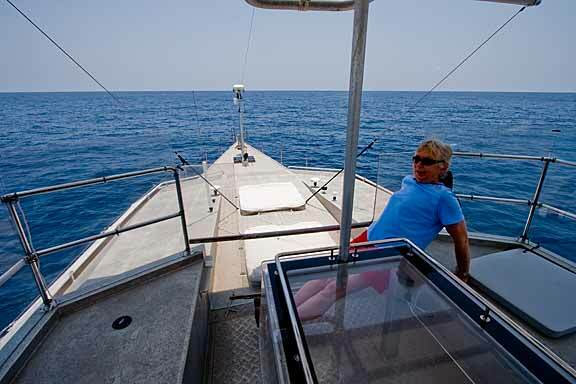 We start out rafted to one of the PCA tugs, with a large sailing yacht rafted outside of us. Being in a narrow channel with ships passing each other takes a steady helm as our PCA pilot has us move to the extreme edge of the cut. The Panama Canal Authority wants to know if we are willing to go through side tied to the Canal wall on our way down to the Atlantic. Acquiescing (instead of going center chamber) gets us into line much sooner. 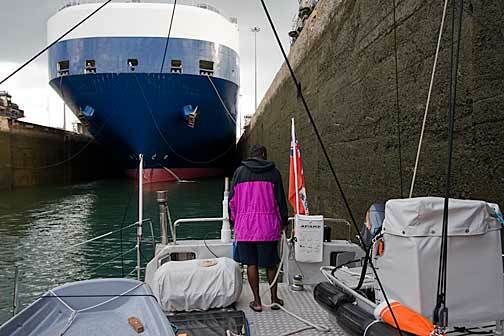 Being in the locks with huge ships is intimidating. But we know they are under control of tugs and shoreside locomotives. 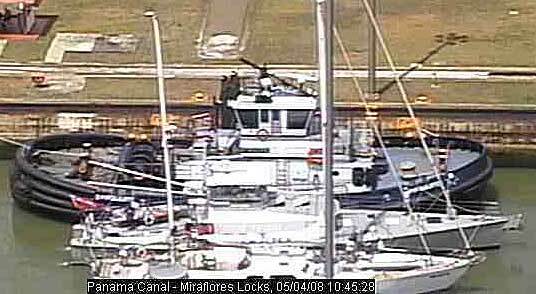 By maintaining ten knots through Gatun Lake we are pushed ahead in the Atlantic side queue, and able to complete our transit in a single day. Speed – ten knots gets you through the canal in a single day (otherwise two days with a change in Canal pilot is required). 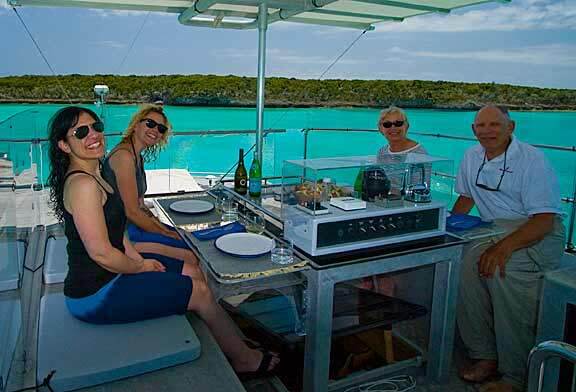 Bare aluminum topsides and rub rail take the worry out of locking up and down. An enormously strong rub rail protects the hull from the rough side walls of the locks on the way down and from the tug on the way up. Deck, house, and flying bridge awnings keep us, the Canal Authority Pilot, and our line handlers cool in the early summer (HOT) weather. Plenty of deck winches (powered and manual) and strong points for line attachment make it easy to control Wind Horse’s rise and fall in the locks. Excellent handling characteristics take the worry out of maneuvering in the current at entrances and exits to various locks. From the Atlantic side of Panama to the Windward Passage (or the Virgin Islands, or ABCs) is one of the worst passages you will ever face. In 40,000 miles aboard Beowulf, it stands out as the most unpleasant. A combination of head winds and steep seas is the culprit. We know that Wind Horse will minimize the pain, making short work of the trip while reducing discomfort from pitching in head seas. We also know the Caribbean trade winds go in cycles. 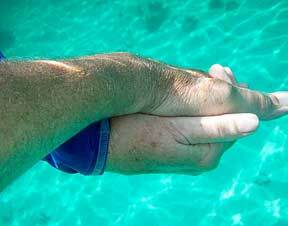 Pick the right time and it is possible to make the passage during relaxed trade winds. This is precisely the situation we encounter as we drop our Canal pilot and crew of line handlers in Colon. The current period of light winds is now projected to be over by morning. 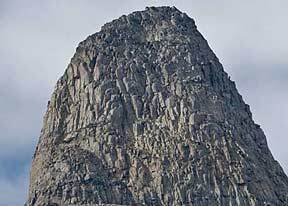 We anchor for a few hours to store our transit gear, have a shower, dinner, and brief rest, and then head for the Windward Passage. 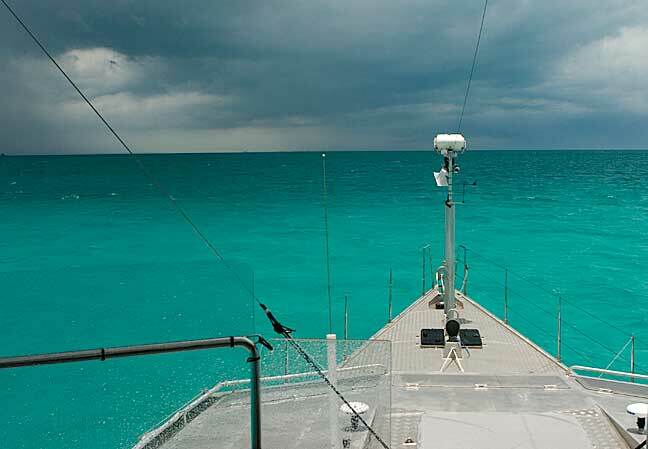 Four days later, after a lovely trip with moderate winds and relatively smooth seas, we are in the Bahamas. To say we are pleasantly surprised at how easily this goes (when we know from experience how bad it can be) is an understatement. We were rested enough, even after a long (hot) day in the Panama Canal, to leave on the same evening we complete our Canal transit. At 10 to 10.5 knots (even uphill) we have the speed to make our way to the Windward Passage during the brief lull in the trades. 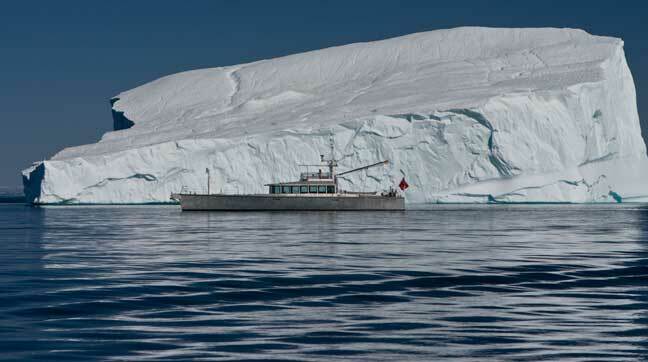 The fine entry and exit of our FPB hull soften what headseas we do encounter. Interior layout with work areas clustered around the pitch center reduce apparent motion to a minimum. 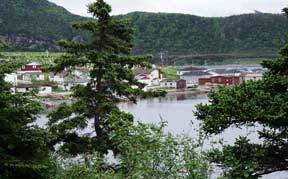 Once again, we arrive at our destination after a comfortable trip, rested, and ready to enjoy new cruising grounds. A post script on the weather. The morning after our evening departure the trades are back in force. They continue to build on our track, but always just behind us. Had we waited even twelve hours, the weather scenario for the trip would have been significantly less benign. 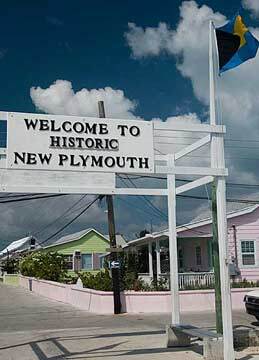 We have been through or alongside the Bahamas Islands on numerous occasions in the past. 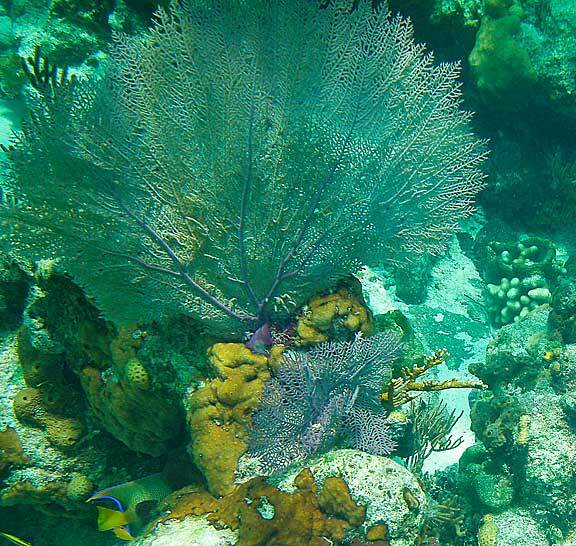 As alluring as the wonderfully clear waters looked, we never stopped. The main reason was draft – this is thin water cruising, with five feet (1.7m) being about the maximum draft to allow exploration of the best of the Islands. 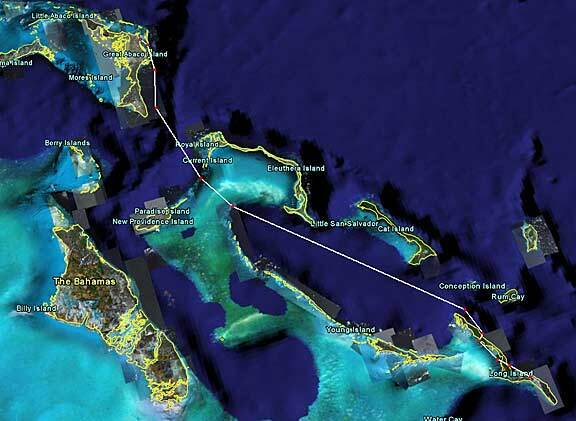 So when we were planning our passage to the British Isles we thought we’d spend a few days checking out the Bahamas. … and WiFi connections in many of the anchorages. That we were here in May, after the usual cruising season, is an added benefit. The anchorages are less crowded. 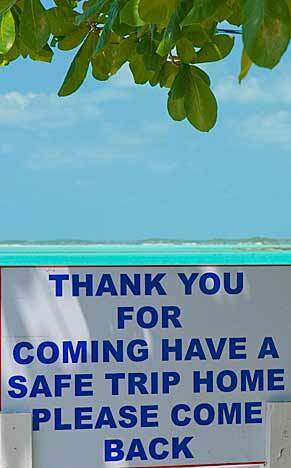 The Bahamians are easy going, friendly, and happy to share their islands. Of course May means it is warm. But with awnings for the house, flying bridge, and deck, the tropical breezes are enjoyable inside and out. In the evenings, when the breeze sometimes dies out, a couple of hours with air conditioning keeps us cool with low humidity. 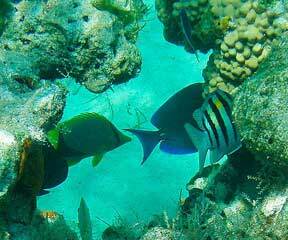 And there is always a refreshing dip from the swim step with lots of things to ogle under water. This is also a great place to have friends and family join you. Air connections from the mainland are good, and if you don’t want to go to Nassau to join your guests, seaplane delivery is cost efficient. 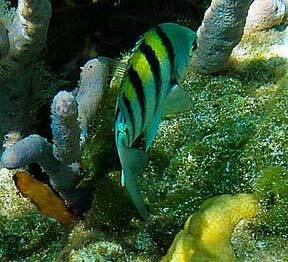 Cruising in waters that are often 10 to 12 feet (3 to 4 meters) deep takes getting used to. Eventually we realize that with the elevated (and cool!) view from the flying bridge we can keep an eye out for coral heads and enjoy the inter-island passages. The original plan of a few days stretches into three weeks. We would spend longer if not for the call of the North and Big Ice. 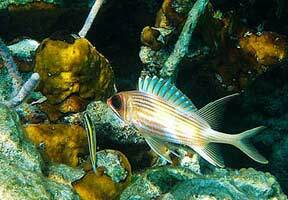 Shallow draft – five feet (1.7m) opens up new worlds to explore. Natural ventilation at anchor keeps the environment below decks pleasant with only occasional need to resort to air conditioning. House window awnings and deck awnings keep the sun load to a minimum and allow hatches to remain open in most rain squalls. Air conditioning is efficient and needs only be run for a few hours in the evening, and then only if the breeze drops. 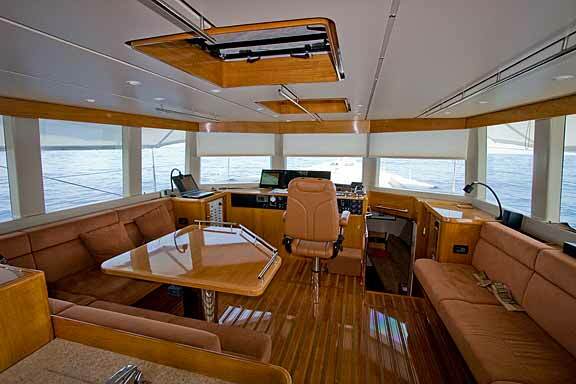 The flying bridge, with its large awning and protective wind shield, is a favorite spot at anchor and underway. You never get tired of looking at that wonderful turquoise water from the “great room”. 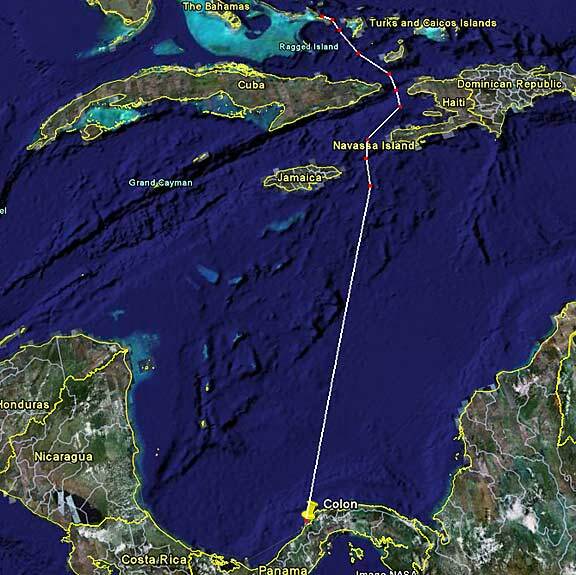 For a brief video of transiting the Panama Canal and the Bahamas click here. 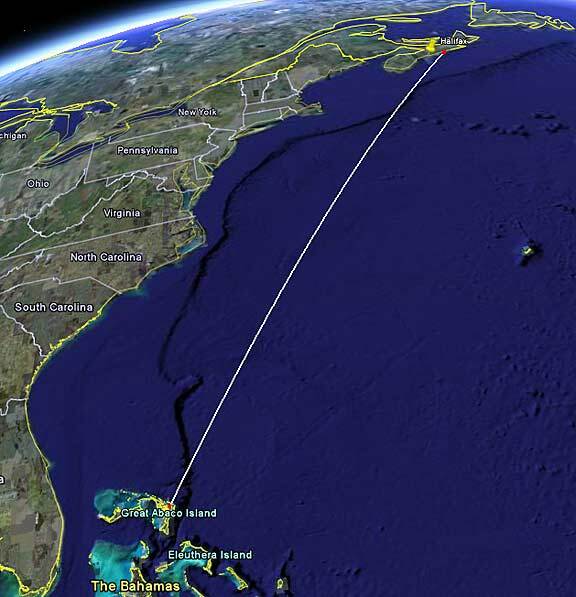 If the trip from Panama to the Bahamas can be difficult, the one north along the East Coast of the US can be real trouble, especially in spring. The problem is relatively dry continental cold fronts hitting the warm waters of the Gulf Stream. You contend with weather intensification as a result of this collision, as well as a current which often opposes the waves. 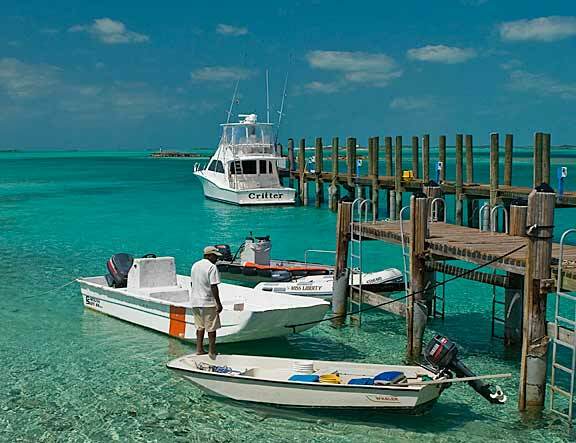 Boats leaving from the Bahamas usually make for South Carolina to shorten the time during which they are exposed to weather. We consider this approach, but it adds time and miles to the trip. We figure if we can pick the right weather, our speed will minimize risks, and we always have the option of bailing out early. The 1250 miles we have to travel means we are going to have at least one bout of less than ideal conditions along the way. We depart from the Bahamas in moderate north quadrant winds, just off the nose. This is not perfect, but it gives us a good start north in a brief period between fronts. 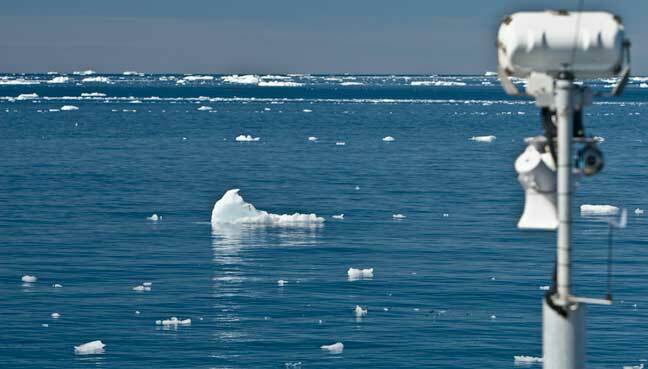 As we have come to expect, Wind Horse takes the Gulf Stream gale in stride and soon we are surfing toward Lunenberg. 2008 has been a year of exceptionally bad weather on both sides of the North Atlantic. 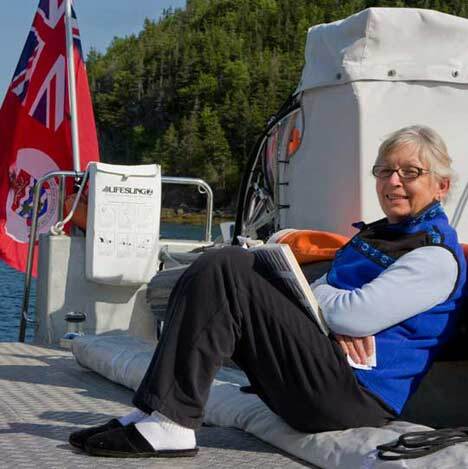 Yet we are able to complete the 1200+ nautical miles in good order and on the evening of the fifth day after leaving the Bahamas we have cleared Canadian Customs in Lunenberg, Nova Scotia, and are having a leisurely dinner ashore with cruising friends. The ability to maintain our cruising speed in virtually all conditions, making it likely we’d maintain our projected weather “schedule”. 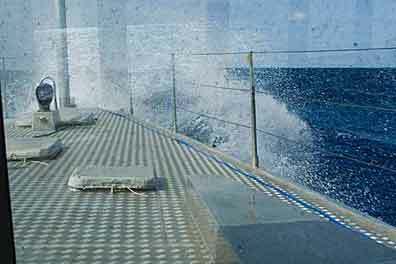 Tolerable motion, even in the face of extremely steep seas with the wind against current conditions in the Gulf Stream. Concentration of working and aft sleeping quarters near the pitch center so the motion we feel for the most part is minimal. Absolute faith in the ability to handle the gale force weather encountered. 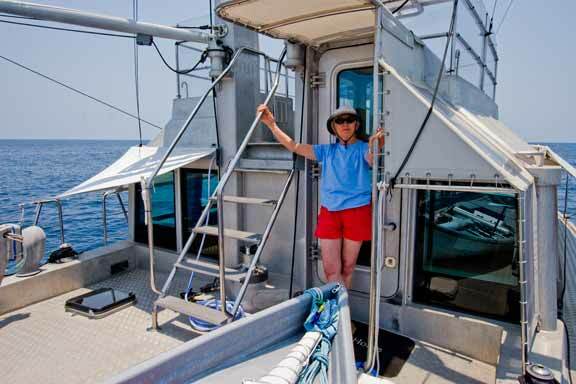 For a short video of Wind Horse working in headseas, click here. According to the original plan, we had not intended to spend more than a week in Eastern Canada. 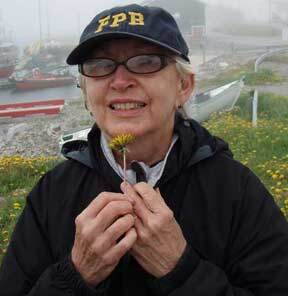 Maybe a day in Lunenberg, and then on to St. Johns, Newfoundland before heading to Greenland. But as we talk with friends who know the area, we feel we have to get at least a taste of what is on the cruising buffet in Eastern Canada. 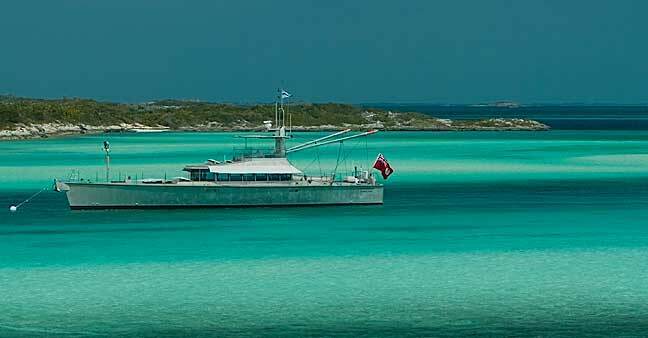 This would not be possible with our previous yachts given where we wanted to be at the end of summer, but once again, the fact that we could maintain a good turn of speed while passaging, in all weather, creates possibilities. 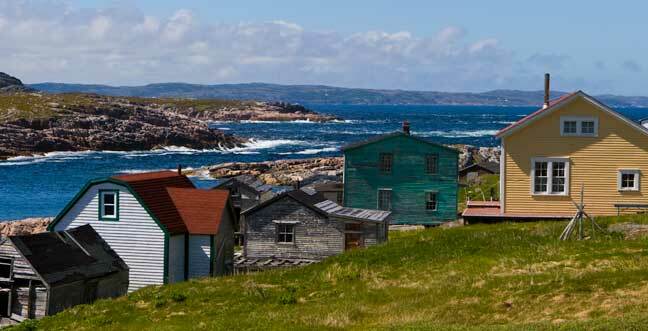 The coast of Nova Scotia and New Breton Island is honeycombed with anchorages and small towns to explore. 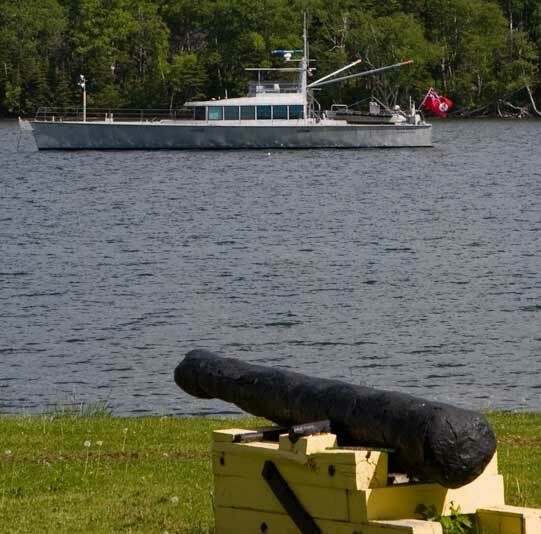 The Bras d’Or lakes are particularly inviting. … as do lovely villages. 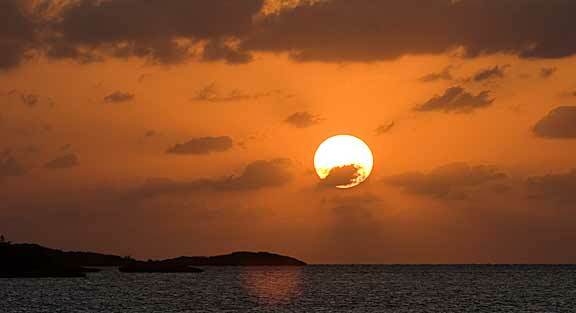 Moving away from the equator brings cooler weather, and longer, more spectacular sunsets and sunrises. 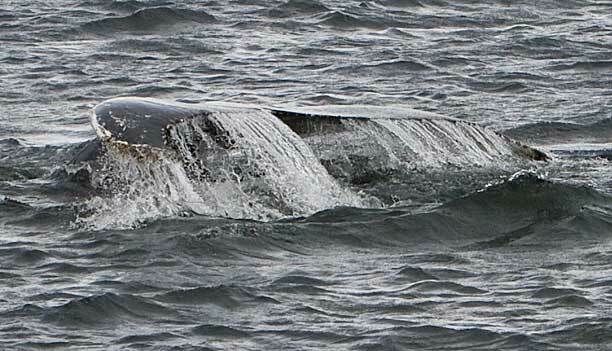 Cooler waters bring whales following bait fish. 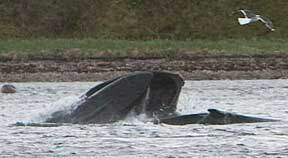 These humpback cousins join us for dinner in Red Bay, Labrador. … consuming their meal while we eat ours. All of which we enjoy at anchor, in peaceful solitude. We have not seen another yacht since leaving Nova Scotia (this being a bit early in the season). Cooler sea temperatures (just above freezing now) bring other changes, like fog. Both conditions are to be expected in this part of the world. 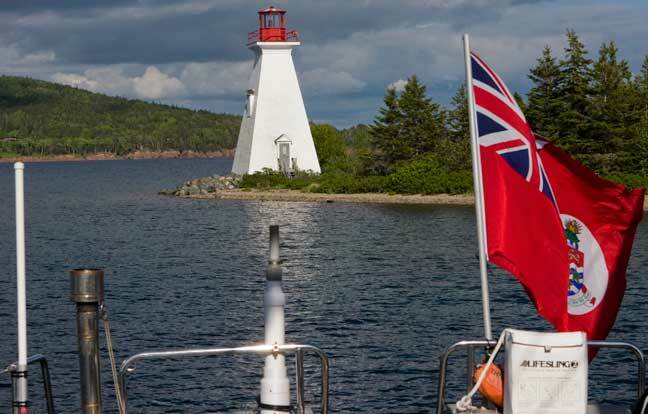 We prefer to passage in clear weather, but if you are going to cruise in Nova Scotia, Newfoundland, and Labrador, working in fog is part of the deal. 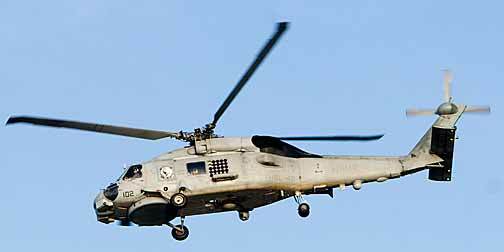 We are helped by a powerful commercial grade radar and excellent sight lines forward. And while we are underway, even in these conditions, our normal life cycle goes forward. We find Labrador a delightful surprise. 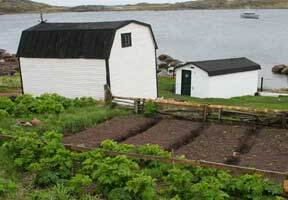 Full of fascinating people, small villages, and ghost towns – some of which are in the process of being reclaimed, like Battle Harbour (above and below). 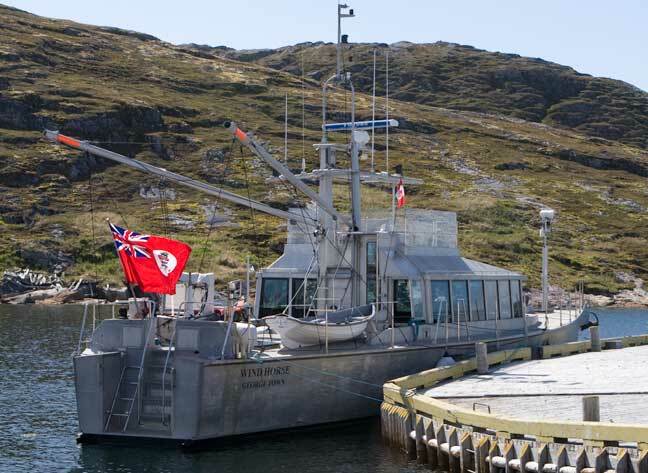 While Newfoundland and Labrador are a wonderful cruising environment, conditions can be difficult. 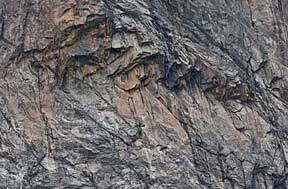 Anchorages often have rocky bottoms, navigation must be precise, and maneuverability is at a premium in occasionally tight locations. And you must to be self sufficient. Mechanics and marinas are few and far between. … and sunny the next. For us there is an added attraction – Big Ice. 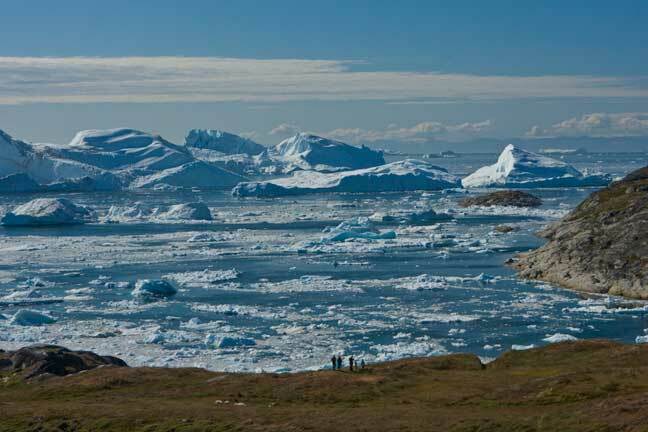 We are fascinated by huge ice bergs that have traveled here from Greenland. The bergs not only instill us with awe, but provide a chance to “practice” navigational techniques under controlled conditions. 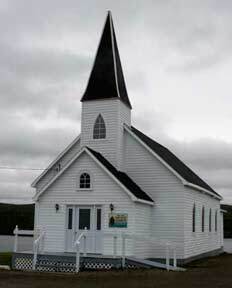 For video of Eastern Canada click here. 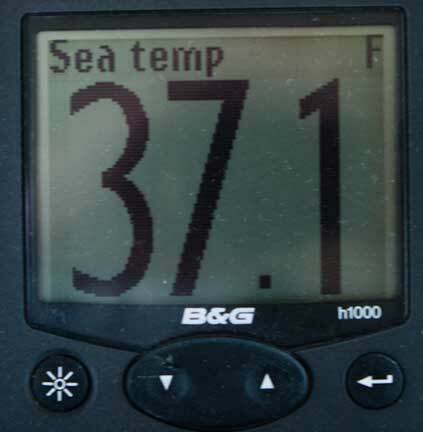 Sufficient boat speed to make quick work of the many short passages, with plenty of time to feel our way into new anchorages, and then relax (or explore ashore). A good heating system to keep the interior warm. An efficient method of controlling hull and window condensation in the cold, damp environment. Heavy duty ground tackle which is secure on short scope and adapted to rocky bottoms. 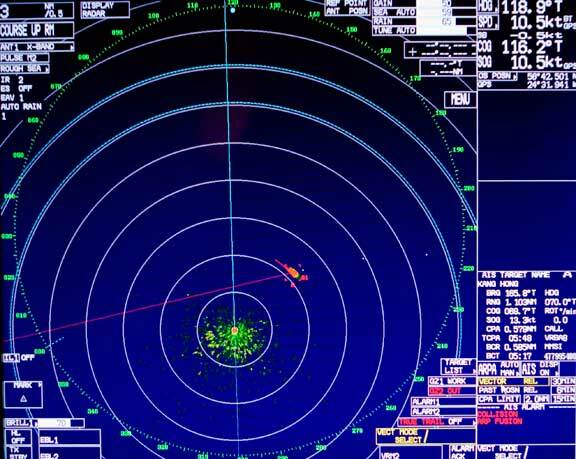 Commercial grade radar and sonar for navigation in areas with minimal chart detail and in fog. 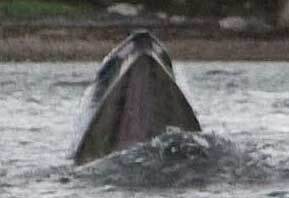 The ability to con the boat from a warm, dry environment, with excellent sight lines from the helm to the water close to the bow (watching for debris and ice). 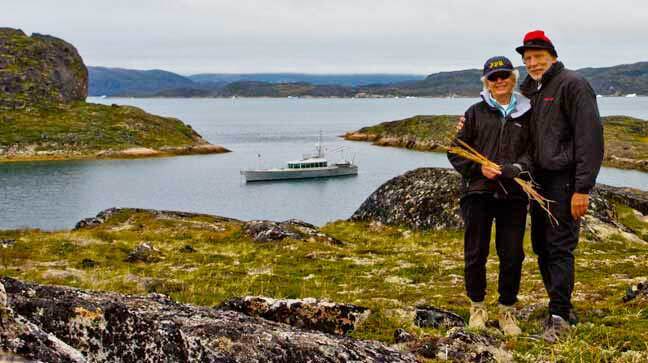 The passage across the Labrador Sea to Greenland is short: 550 to 1000 miles, depending on departure point and landfall. For us this represents two-and-a-half to three days. 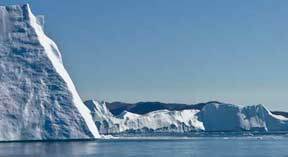 The difficulty comes at the beginning and end – there are icebergs with which to contend along with sea ice on the Greenland side. 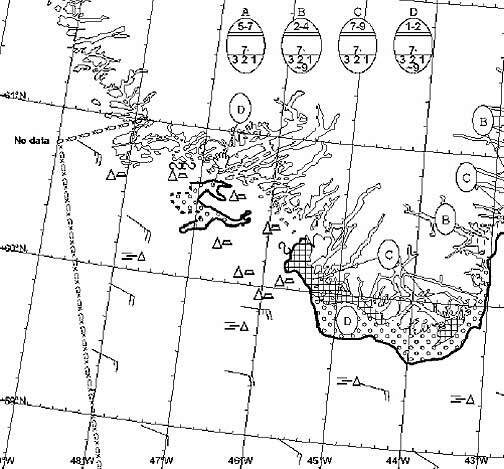 The Canadians publish a daily ice chart showing berg counts in 1-degree squares. This is a very light concentration, but as it is our first experience operating in this type of ice we are being cautious. The Danes put out a daily ice summary as well. 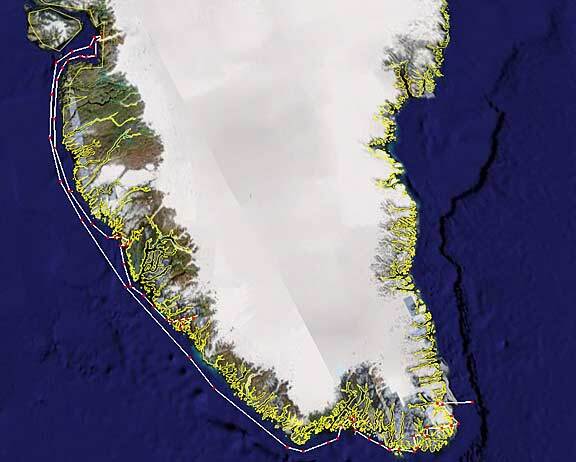 This shows sea ice and lots of bergs in the south of Greenland. The main criteria for this passage is visibility. We want clear conditions (no fog) with winds below 22 knots (white caps make it hard to spot small chunks of ice). 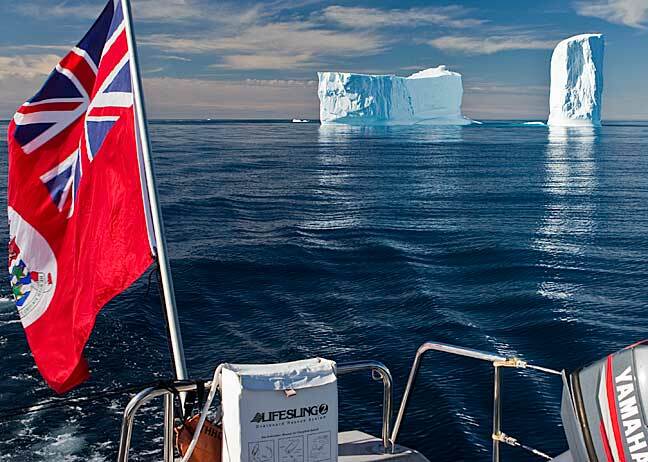 Maximum visibility is desirable at the beginning and end of the trip as icebergs follow the coastal currents and are not a mid-ocean hazard. We depart Labrador at sunrise, to give ourselves the maximum amount of daylight – 20 hours now – in which to watch for ice. 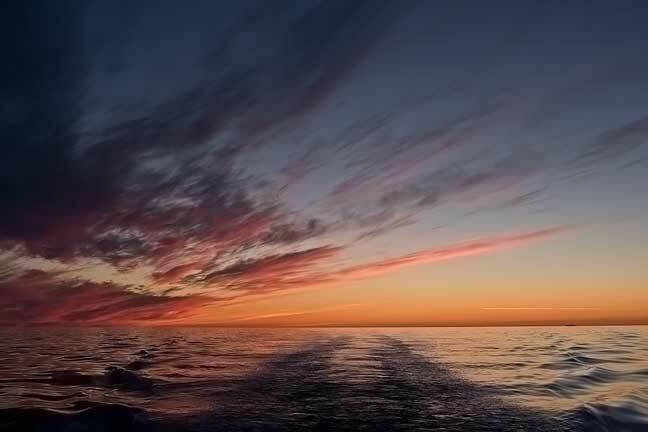 At 11 knots we are 220 miles off the coast, well outside the iceberg region, by the first sunset. 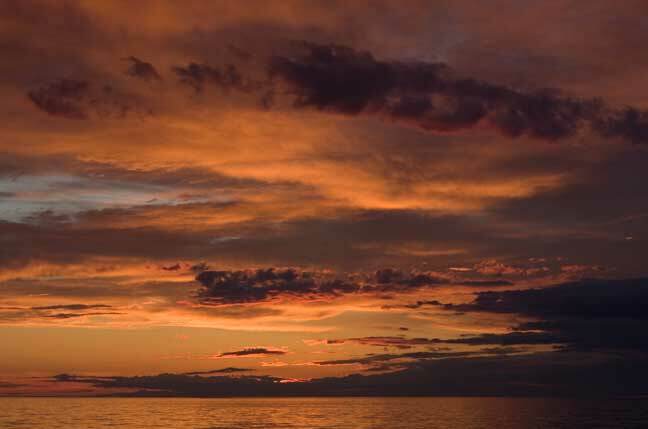 We continue at normal cruising speed, while we are entertained for hours with a thrilling sunset. 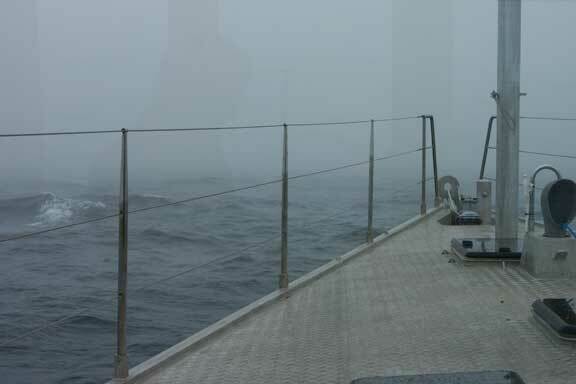 Two days later we are off the Southern end of Greenland, hove to in fog. The large bergs show up on radar, but we are concerned with the smaller stuff, just visible to the left of the photo above. The fog thickens as we close with the coast and we decide to head north 250 miles to Nuuk, which is relatively ice-free. 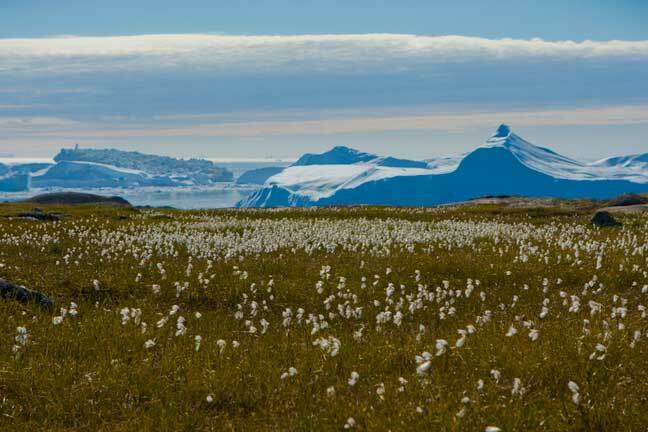 The next morning is clear, and we see the mountainous coast of Greenland for the first time! 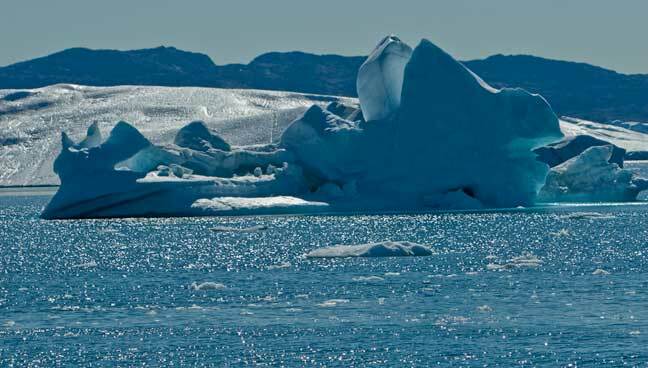 Over the next few hours we are enthralled with spectacular icebergs. 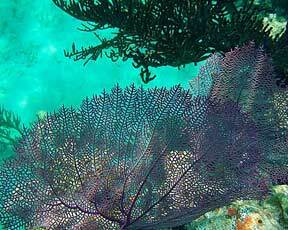 We even find one which reminds us of Bora Bora in the South Pacific, complete with shallow lagoon. While this has been a relatively short passage, we consider it our most difficult to date because of the ice issues at each end. Once again, the design characteristics of our FPB make easy work of the miles. 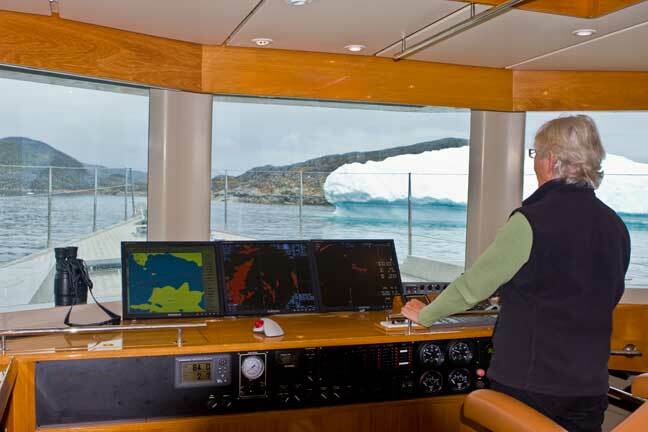 Boat speed, comfort at sea, ergonomic watch standing and sight lines all play their part in getting us to Nuuk, Greenland in a well rested state, raring to check out this new territory. 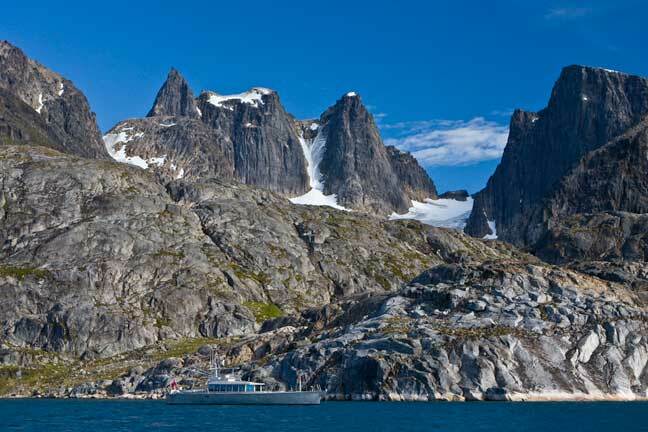 Of all the cruising destinations to which we have been in the last thirty years, nothing compares to Greenland. The scenery is spectacular beyond description. 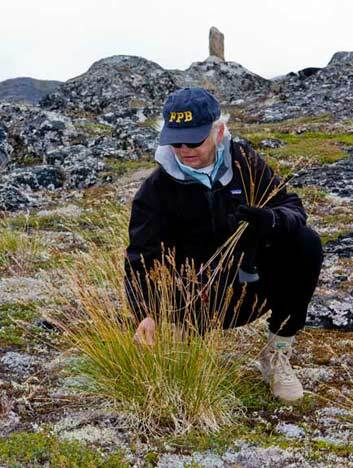 And the environment as challenging as anywhere on earth. Hikes ashore (done carefully – if you have a problem you have to sort it out on your own) offer unmatched beauty. And a chance to pick up some decorations for the boat.. There are often cool boats in the background. There is plenty of practice with ice navigation to be had. And extensive opportunities for careful exploration by dinghy. … and sunrises are the norm. And even the moon can generate a thrill in this part of the world. 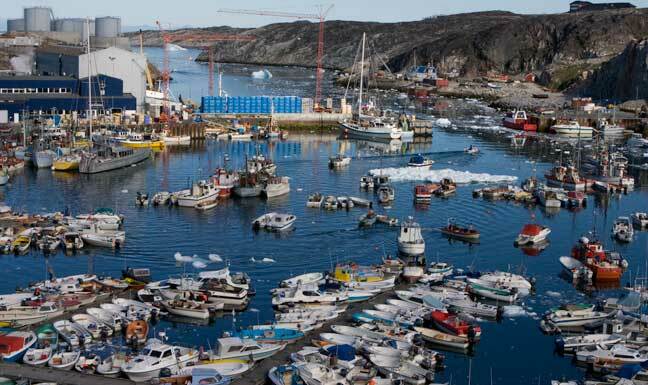 When we visit “civilization” it is in densely packed harbors (Wind Horse is middle left in the photo above and between the fishing and police boats below), always rafted. 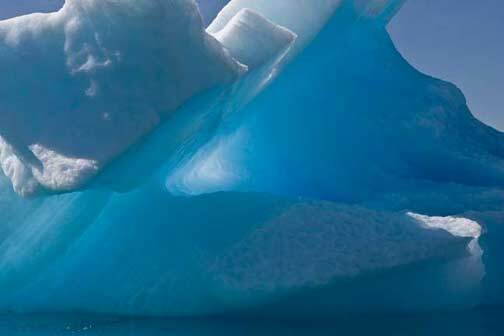 Ice is often present in these harbors, something with which you learn to deal. There are fascinating villages to wander through. 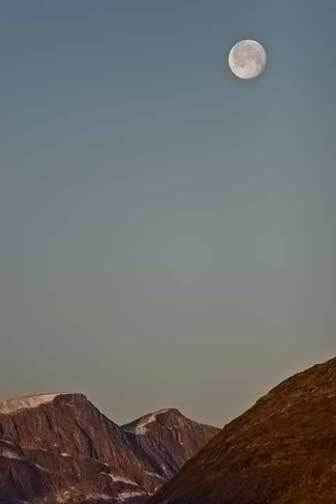 Greenland is a wild country and its inhabitants are wilder. We never tire of the ice. 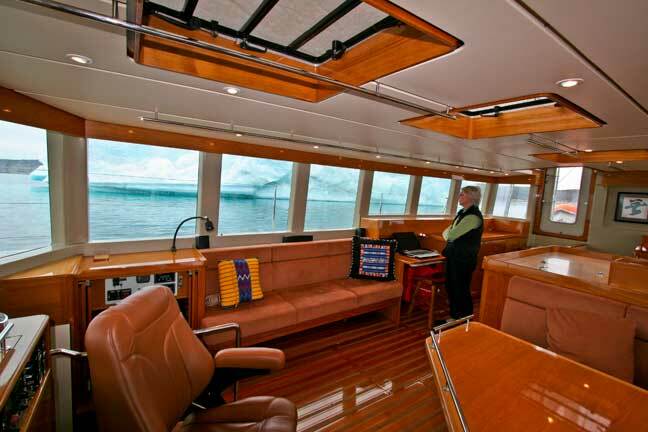 That we are able to cruise in Greenland, in total comfort, taking all of this in from our “great room” is almost beyond comprehension. 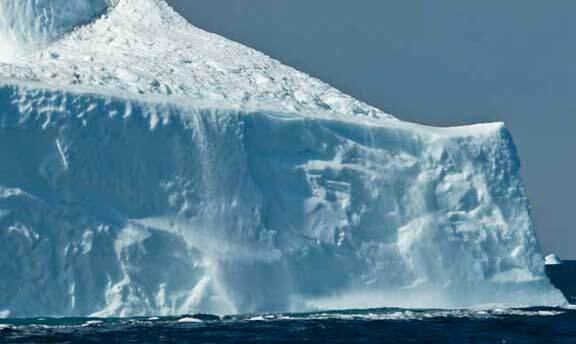 There is a bit of stress, of course, with ice, fog, and uncharted anchorages. But we are secure in the knowledge that our heavy aluminum structure, double bottom, and watertight compartments are a huge safety factor if we suffer from “operator error”. 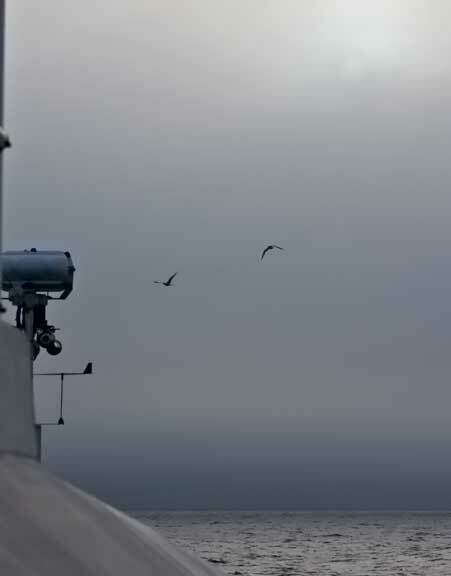 It helps to have our chart plotter, radar, and sonar efficiently configured for use in adverse conditions (like running here with ice at dusk, on our way to a third anchorage, on a day when the first two anchorages visited have failed to provide the protection required for the coming weather). But with all the electronics, visual observation is still our first navigational tool. 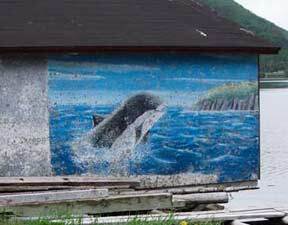 The third anchorage finds us in this landlocked fjord, with exquisite views all around us. 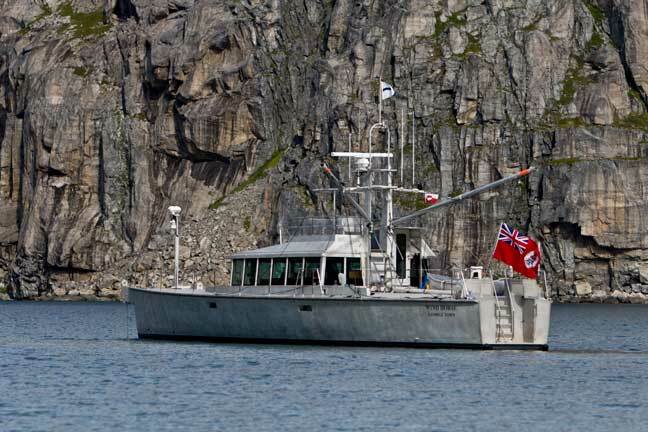 We are now in the Prince Christian Channels at the southern tip of Greenland. 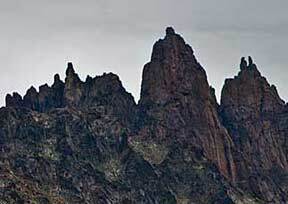 The topography here is reputed to be amongst the most beautiful on the planet. We are not about to argue the point. The conventional question would now be to ask “Has it been worth the two months and thousands of miles it took to arrive here?” You know the answer of course. 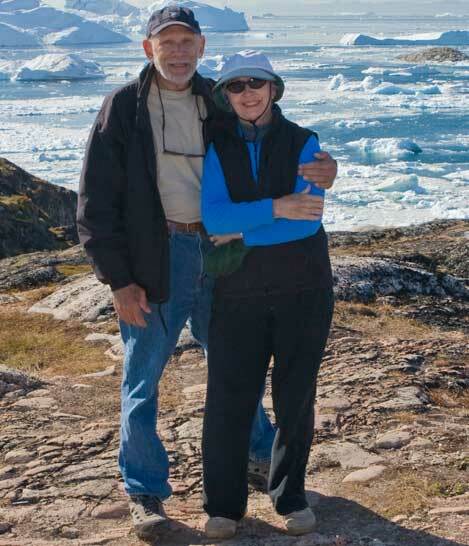 The more important point is that we enjoyed immensely the process of getting to Greenland. 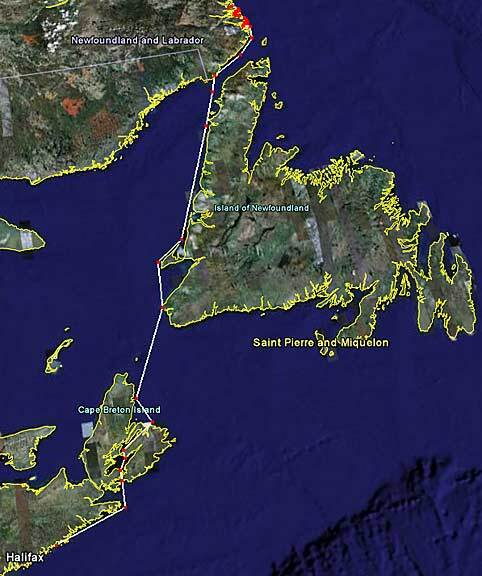 The long and short passages, and cruising destinations along the way have been fun. 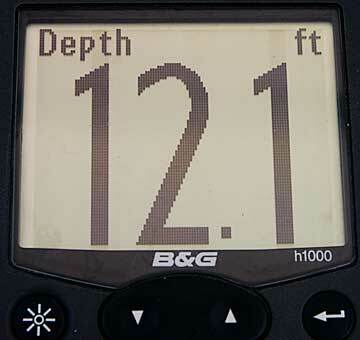 Boat speed allows us to cover large chunks of territory in daylight – as much as 200 miles between anchorages – always with options if the primary anchorage does not meet our requirements. 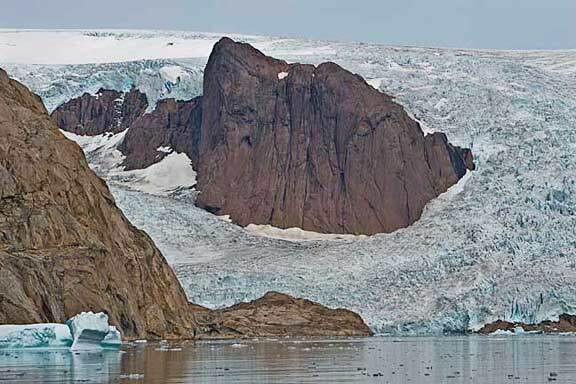 This allows a thorough exploration of the West and South coasts of Greenland (and a tantalizing taste of the East). 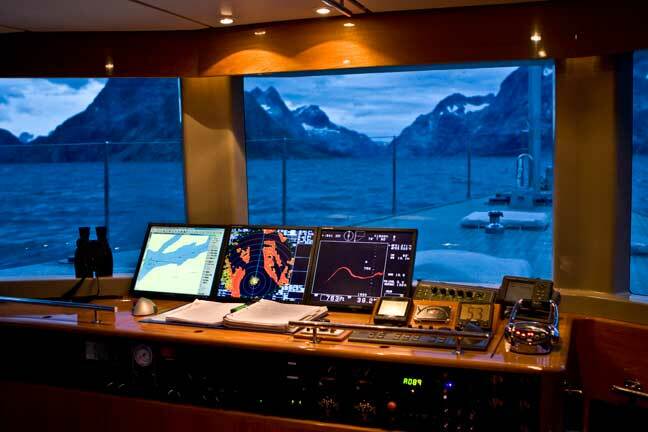 Protected watch standing with commercial grade electronics for navigation where charts are in general bereft of details. 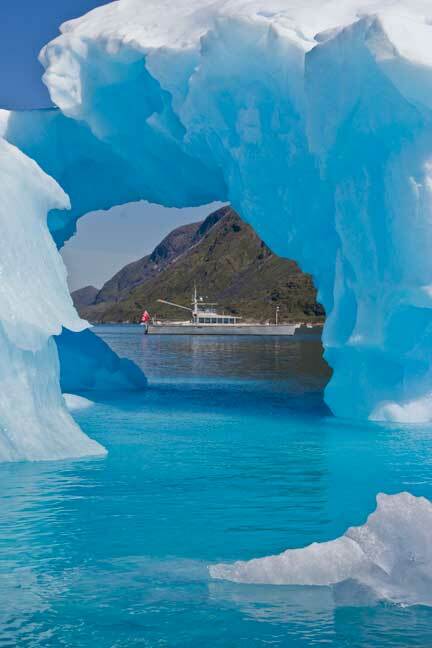 Watch standing ergonomics which allow us to see close into the bow, to keep an eye out for small ice in less than perfect visibility. 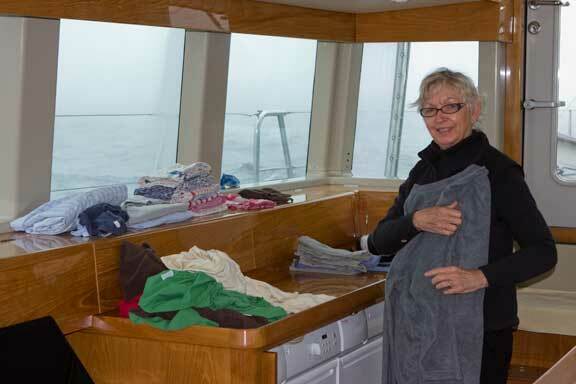 Comfortable interior for the crew in adverse weather (we go through one unforecast gale on the nose). Efficient heating to maintain inside temperature in water barely above freezing. Good insulation and humidity control systems to keep the interior surfaces (including windows) condensation-free. Heavy metal construction for (relative) peace of mind operating in such a hostile environment. In particular, the three full and two partial watertight bulkheads along with the double bottom are sources of confidence. 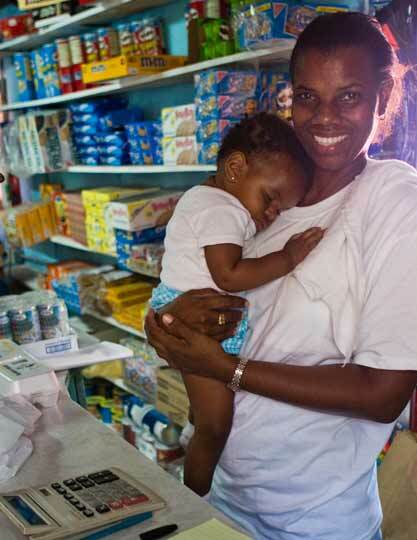 Maintenance-free and reliable systems, which we know we can service on our own. 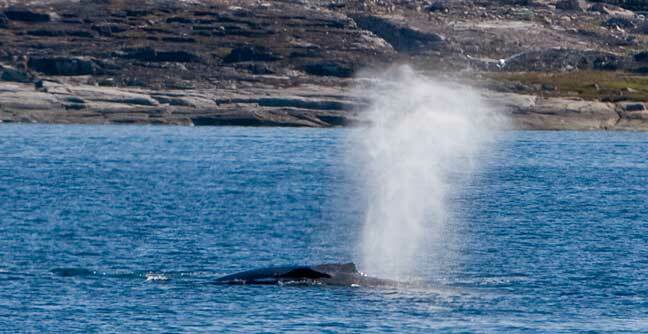 To watch a video of Wind Horse with ice and humpback whales in Greenland, click here. 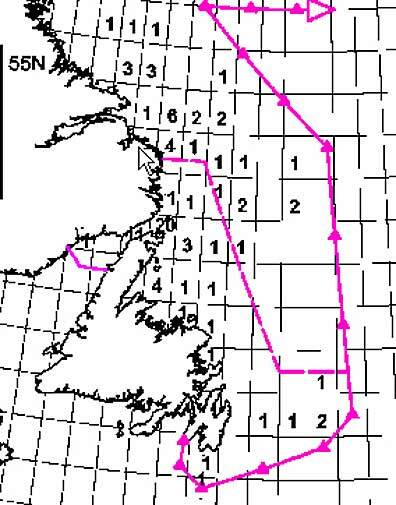 In normal weather patterns the trip from Southeast Greenland to Southern Ireland is easy. Just 1300 miles (short by our standards), this would typically be a comfortable downwind passage. The Azores high pressure system pushes summer depressions to the north. Just wait for a depression, then follow it across the North Atlantic, staying to the south of its track, with southwest to northwest winds all the way across. Being able to maintain 240 to 265 miles a day for the most part means the next front arrives well after we’re at anchor enjoying our first Guinness beer. But summer of 2008 is not a normal year. The jet stream is south of where it should be, and our track is infested with depressions and storm systems. Meanwhile, Ireland is having an awful summer with record rains and general unpleasantness. We have been watching the weather all summer, keeping an eye on the patterns. When we notice a huge double low system pounding Ireland and Great Britain, we start to pay attention. Big storm systems like this are often followed by periods of calm as high pressure ridges into the void left by the retreating depressions. 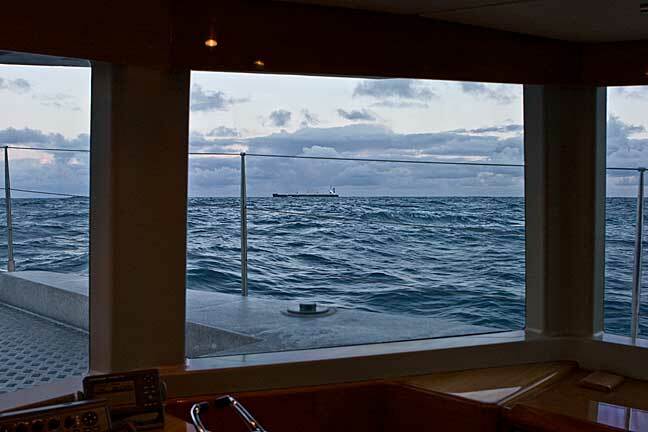 The window will be narrow, but at our minimum cruising speed of ten knots we are reasonably certain we can make it across in benign weather – if the forecasts hold. >And if the forecasts are wrong? 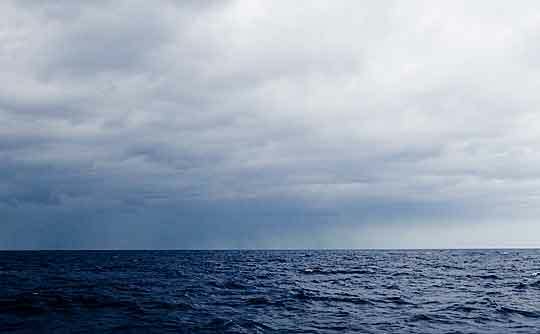 We know we have the best heavy weather yacht under us on which we have ever put to sea. As it turns out, the passage is easy. We do end up with one afternoon and evening of northwesterly compression gale. With waves in the 8 to 20 foot (2.4 to 6m) range, we are able to get a few good surfs under our belt (always fun). There is a surprising amount of ship traffic crossing our track. Shipping typically shows up at twelve miles on the radar, and then we track it with ARPA on the radar and visually through our big windows. 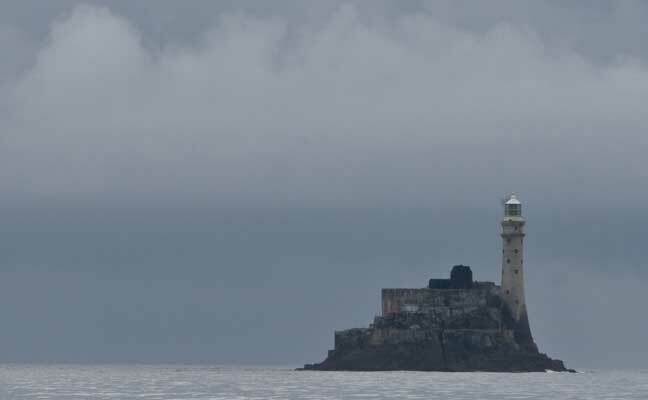 A comfortable five days after departing Greenland, Fastnet Rock is in our wake and we are once again at anchor. 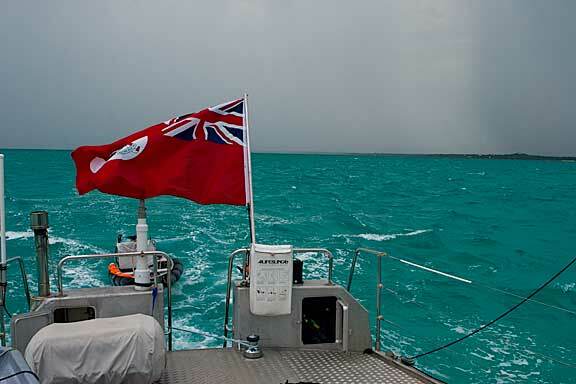 Once again boat speed is the key – maintaining ten knots minimizes weather risks. Comfortable motion at sea means we are well rested, alert, and the passage is enjoyable (as opposed to something to be endured). Reliable systems and watertight structure give us emotional confidence. 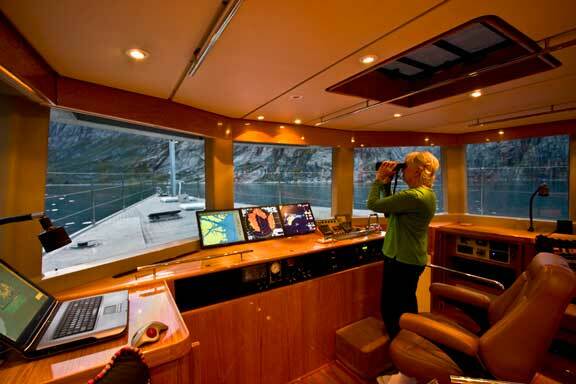 Interior designed is optimized for use at sea. High fiddle rails in galley and mid-height fiddles in rest of interior. Safety belts and harnesses throughout for bodily security in steep waves. To join Wind Horse in the compression gale, click here to watch the video. It goes without saying that reliability and maintenance go hand in hand. To do a trip like the past four months, one needs total reliability and minimum time spent on maintenance. Systems failures, if they occur, have to be handled by the crew (us) and the assumption has to be that we are on our own in terms of tools and spares carried. That our schedule was tight is obvious. 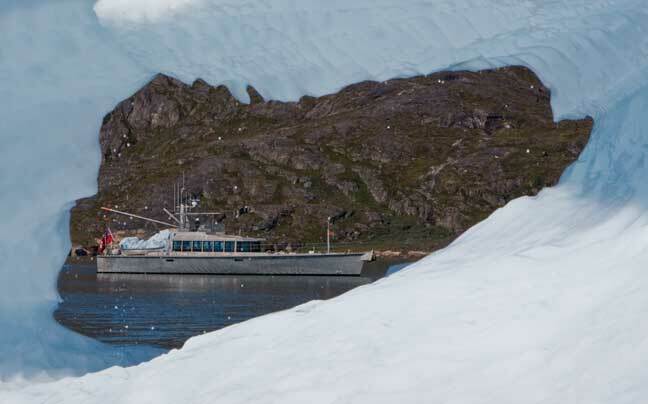 The cruising season in Greenland is short in the extreme. And we would not want to miss even a few weeks of it due to maintenance delays. And then there is the stress issue. 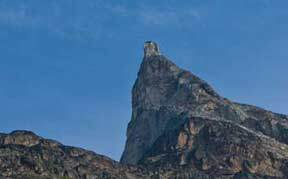 Cruising in this part of the world is not without stress, as we have already mentioned, and we would not want to add to this by worrying about the reliability of our systems. Three sets of oil changes (Panama, Labrador, Greenland). Inspect raw water pumps on engines and replacement of one pump with a spare and one impeller (Panama and Greenland). 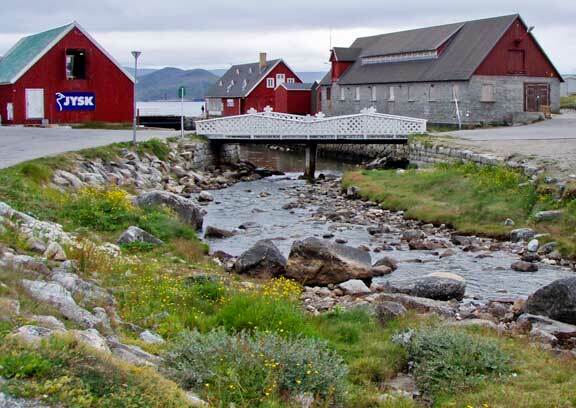 Replace a battery switch in Greenland. Clean awnings prior to storage after use through Labrador. Clean stainless steel (Ireland – first time in two years). Adjust hatch dogs on deck hatches prior to North Atlantic crossing (Greenland). Tighten two screws in galley drawer slides (Ireland). General engine room inspection prior to each long passage (about two hours each time). Bolt torque check in engine room on CV axles, steering gear, engine mounts twice (Panama and Greenland). Tighten hose clamp on generator exhaust hose (Ireland). 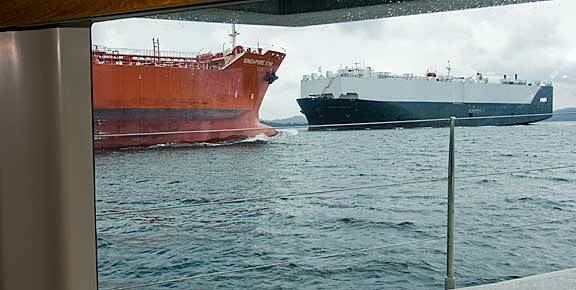 Change hydraulic system cooling plumbing for more efficient flow (on the passage to Panama). Change secondary fuel filters between day tank and engines/genset (first time since summer 2007). The total time involved in this short list adds up to perhaps 16 hours between Panama and Ireland. This is a pretty short list, especially when you consider that Wind Horse had 2600 hours on her prior to our departure from California. 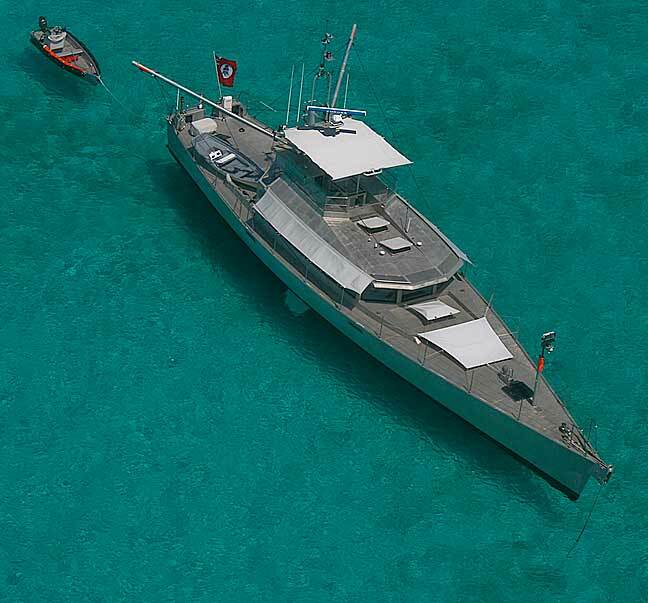 How do we manage to have such reliability when other yachts seemed to be beset with maintenance issues? Our systems are robust and as simply engineered as possible commensurate with doing the required job. They are installed with plenty of space around them making periodic inspection and any required maintenance easier. We practice rigorous preventive maintenance. If you are like us, you have noticed that as you get older (awful subject that this is) time accelerates. Blink and ten years have passed you by. The older you are the faster (worse) this becomes. What we have discovered with Wind Horse is that when we are cruising the process slows (and possibly even reverses). The last four months, indeed the last three years of cruising with Wind Horse, feel like they have been experienced over a much longer period. It is as if time has slowed down to the way it felt when we were kids. We are not sure of the cause, but we have some ideas. When land bound we are process oriented. Going from job to job our mental bandwidth is focused on getting things done. We do not have the time, energy, or extra intellectual power required to absorb more than a small portion of our surroundings. The sameness of this day to day processes makes the time fly. Aboard Wind Horse the situation is different. We are focused on the mechanics of cruising of course, but even under way we have intellectual capacity left to absorb and enjoy what is happening outside of our big windows. This represents a huge increase in the pleasurable sensory input we can absorb. The increase in unique experiences is the equivalent to slowing down life. What is surprising is this did not happen when we cruised on yachts like Sundeer and Beowulf. We think this is because sailing them demanded our full attention, leaving less mental energy to absorb our new surroundings. We have come to believe Wind Horse is our personal Time Machine. This entry was posted on Wednesday, January 25th, 2012 at 4:54 pm and is filed under Dashew Offshore, Favorites, four, Intro to FPB Program, Most Popular. Both comments and pings are currently closed. Two weeks, Kerry, and we shall do as you have asked. I am in love with this boat! !